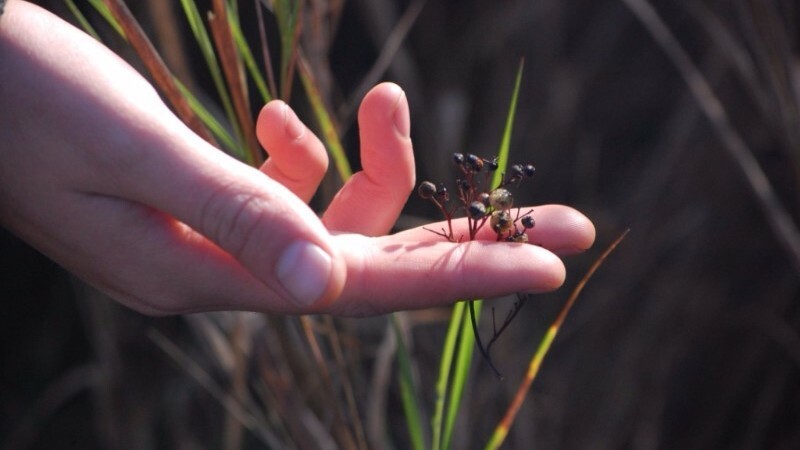 “Although we at Plaster Creek Stewards collect seeds year round, this activity really ramps up during the fall. 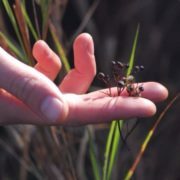 We typically devote one day each week to visiting local natural areas to gather seed, seed that will both be grown as individual species and put into mixes for larger projects. If you have never done it, seed collecting is a very satisfying and deeply relaxing past time. It not only gets you out to some beautiful natural remnant ecosystems, it also forces you to move through these landscapes at a slower, more deliberate pace. We notice so much when we are out collecting seeds, and the slow pace allows for more contemplation and meaningful conversations. Why do we collect seeds? The seeds we collect will be overwintered (for approximately 3 months outdoors) and then brought into our greenhouses to germinate and transplant for later out-planting into rain gardens and bioswales. We use all native plants because these species were growing their deep roots and offering environmental services as well as benefitting insects and birds long before human beings arrived here in West Michigan. We collect seeds so the plants they become can essentially do what they were created to do – increase the health and beauty of our watershed. To read more about Plaster Creek Stewards, please click here. To contact Plaster Creek Stewards, please click here.